Nepal has a lot in common with India, right from devanagiri language – Hindi and Nepali, Hinduism, the Himalayas, strong spirit of developing nations, an unsaid brotherhood with citizens of the other country etc. enabling travel between the 2 countries without a VISA possible. 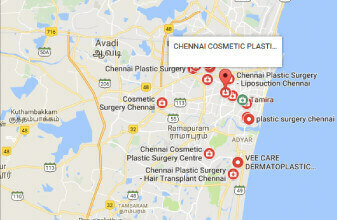 Now there is one more… Chennai Plastic Surgery. Chennai Plastic Surgery extends a warm welcome to its ever-increasing asian counterparts from Kathmandu, Pokhara, Lalitpur, Bharatpur, Birjung, Biratnagar etc. who wish to better appearances and offer themselves the best of Cosmetic Surgical experiences, especially for Multiple Lipomas, Liposuction, Weight Loss, Male Breast Corrections, Rhinoplasty, Six Pack Creation and a wide spectrum of services. Majority of the treatments in India cost about as low as one tenth of what they cost in Nepal, making it a preferred medical destination for its neighbors.